Particularly for Manhattan apartments, greedy landlords would keep raising rents higher and higher, squeezing their tenants for every last penny. Tenants would have no recourse but to lose the homes they have had for many years, move to cheaper housing, and have their lives disrupted. Many affluent New Yorkers would finally vacate large apartments that they no longer need but hold on to because the rent is cheap. Young families that need larger apartments would see a flood of larger apartments hit the market. Without the restraint of rent stabilization, more apartment buildings would be built in NYC as landlords rush to meet the market demand for more apartments. The flood of new apartments hitting the market would, in fact, bring prices down a bit and help stabilize the market at natural levels dictated by supply and demand rather than by the illogical forces dictated by how many years a particular tenant has lived in an apartment. Spiking rents on de-stabilized apartments are a myth. Not all landlords have such desirable properties, in such good locations, that new renters will gladly pay significantly higher rents than the current tenants. Most landlords would see virtually no change in the amount of rent they are able to charge. 2. Rent Stabilization is a unconstitutional taking of private property. After all, the property owners are fully liable for all the costs of running and maintaining the housing up to code, yet they are limited in the income they can bring in by the law. 3. And finally, if the City or State wish to moderate the housing costs of local citizens, they can either subsidize those renters or build subsidized rental apartments. But forcing private property owners to bear the brunt of a public policy is simply a deprivation of private property rights that the Constitution of the US protects. After 40 years of subsidizing tenants who can afford higher rent, a New York landlord has said enough is enough. He has appealed to the U.S. Supreme Court to put an end to city rent stabilization laws which he says have become obsolete. If successful, he would turn the tide on tenants locked into decades of low rent leases. Rent stabilization impacts hundreds of thousands of apartments in New York City. In an interview with the local news, the landlord explained that he inherited the property from his parents. His grandfather purchased the building prior to the rent stabilization laws. The landlord, now 68, says that he has individual tenants who have remained in the five-story brownstone for more than 30 years. One tenant, who owns a house on Long Island, pays less than a thousand dollars a month for the rental. Rent stabilization laws were intended to provide more housing opportunities for workers within the city, who otherwise would have to commute great distances to provide much needed services in the city. But this landlord says it violates his constitutional rights to be forced to subsidize tenants for their entire lives. There is no word yet on whether the Court will agree to hear the case. Two lower courts have sided with New York City officials in supporting the rent stabilization laws. 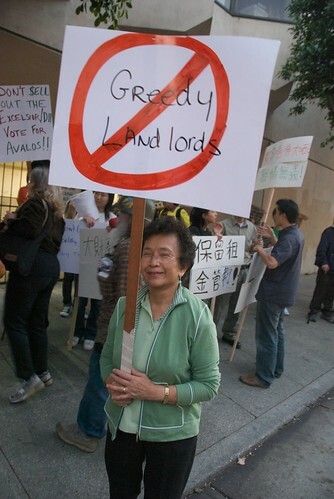 Both sides have a point, but probably the drift of history favors the landlords. Rent Stabilization does limit the construction of new housing to luxury apartments, since they will have rents set above the rent stabilization limits. The issue, as a renter, really comes down to; how are we going to get new construction of housing units aimed and priced for the middle class working person? This conversation will go on for a long time to come.